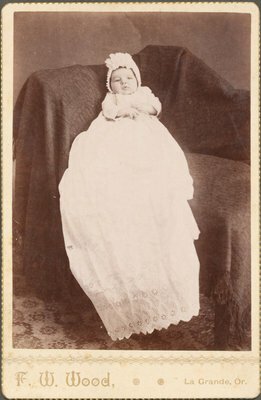 A photograph of baby girl Mirtle. Collector's note: Aunt Aumie's baby Mirtle. Front side: F. W. Wood, La Grande, Or.